Every employee you hire is a win or a loss for your company. A “win” is a hire that proves to be profitable and productive. A “loss” is hire that ultimately costs your company in time, resources, impact on customers, and influence on fellow employees. Because winning employees are so incredibly valuable and losing employees are so extremely expensive, your hiring strategies have a huge impact on the health and success of your company. 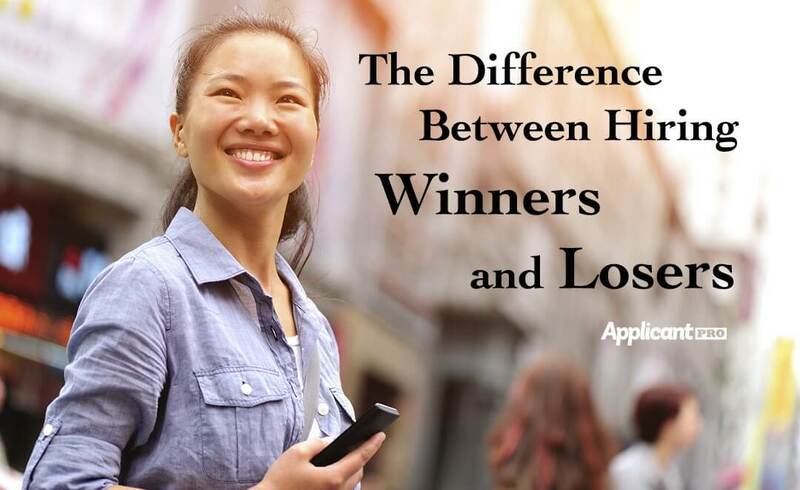 So how can you make sure you’re hiring winners, not losers? Every company is unique, and the qualities that are important for one business may not be as crucial at another. For instance, a company like Google requires creativity, teamwork, problem solving, and programming skills. Meanwhile, a company like JP Morgan prefers financial acumen, sales skills, presentation, and the ability to work independently. Only you can define the most crucial traits and skills for your company. Consult the heads of your departments. Identify the most successful employees and list their characteristics. See where your employees are weak and look for the opposite. What matters is to determine and articulate exactly what you need, so all people involved in the hiring process know what to look for. There are a variety of useful tools and statistically proven strategies for hiring quality employees. Most work to remove bias and inconsistency from the hiring process. For instance, hiring software can help remove human error and prejudice, while saving you time and money in sorting applications. Hiring panels have also been shown to improve the quality of hires. While a single interviewer is subject to emotional decision-making and personal bias, panels tend to make more balanced and objective decisions. You can theorize about what has worked and what hasn’t in hiring, but selective perception and partiality will always influence your conclusions. Careful record-keeping is the best way to accurately chart your hiring decisions. Document your recruitment sources, the employment and educational backgrounds of your employees, and their scores on personality/aptitude tests. The results may surprise you – you may find that employee recommendations are more valuable than professional recruiters, or that workplace experience is more helpful than years of education. You may find that a particular school produces an excellent fit for your company. You won’t know until you check. Hiring is an art, and every company has to customize their process to find the optimum formula. Whatever your ultimate strategy, make sure you don’t skimp on time or money during the hiring process. While you may save a few weeks or a few hundred dollars hiring someone quickly, the ultimate price of a poor employee is much more expensive. Winners are worth the investment!